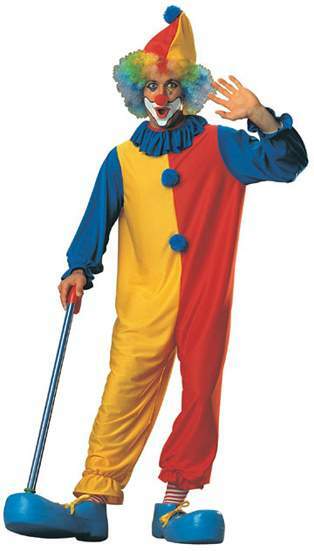 This clown costume is a one piece jumpsuit with multiple colors - will match well with a variety of clown masks. Also includes matching hat. Fits adult standard size men's. Please note that the pom pom color on the costume varies.